Two for Tuesday – Collections and Disputes on FHA! #TwoforTuesday – Back to basics as a reminder in the new year, Collections and Disputes on FHA are covered today! Know this off the top of your head. There is magic numbers to both of these, know them, and if the net amount on any credit report is less than the magic number ignore it and run it through DU. Get Your Own Client Retention! Whacked Out Wednesday – 10 Days of Pain! Two for Tuesday -Push or Pull, Organic and Paid, Online and Off! Weekend CALL 2 Action – Lead Week is coming! Thursdays Thoughts – Fannie Mae Updates! Wonderful Wednesday – Perception is Reality, until reality meets perception! Two for Tuesday – The 1003 & Offer! Monday’s Motivation – In Good Faith! Weekend Call 2 Action – Follow Up Friday! Thursdays Thoughts – Thankful Thursday! Whacked Out Wednesday -FHA DTI Buckets!! Two for Tuesday – Manually Underwritten or Approved! Mondays Motivation – Set new Goals and Action plans! Q2! Weekend CALL 2 ACTION! -Do the work! Thursdays Thoughts -Building an Audience! Monday’s Motivation – New Month!! JUICY Wednesday – Join Us In Creating Excitement – in your pipeline!! Two for Tuesday – JUICY Websites! Monday’s Motivation – Let’s get JUICY! Weekend Call 2 Action – Move your feet! Thursdays Thoughts – How Borrower Paid Works!! Whacked Out Wednesday = Why Mortgage Broker’s are Better! Mondays Motivation – Sales Goals and Routines! Thursdays Thoughts – GUIDELINE Week! Whacked OUT Wednesday – Guideline Week! Two for Tuesday – Guideline Week! Mondays Motivation – Guideline Week! Weekend Call 2 Action – Create Value for your Audiences! Thursdays Thoughts – Spreading the Love – Advertising Rules!! Whacked Out Wednesday – Buyers are Liars! Two 4 Tuesday – VA changes you need to know! Thursdays Thoughts – Updates and Organization! Two 4 Tuesday – REVERSING it UP! Monday’s Motivation – Collect more Names! Two for Tuesday – R&T Not Cash Out! Mondays Motivation -DU Updates, VA guideline changes, and the new URLA! Weekend Call 2 Action – Get to the Next Level! Thursdays Thoughts – Last chance to get JUICY!! Whacked Out Wednesday – Start Branding YOU! Two for Tuesday – Departing Primary and Identity of Interest Transactions! Want to skip the learning curve and not learn anything yourself, but to just SELL like crazy to a mass amount of leads? A done for you solution is available! Depending on whom you talk too, these lead generation systems can go from 1000-5000 dollars and then you have to pay for “Ad spend”. The majority of the done for you, or coaching systems have a monthly cost associated with them. You either are paying for someone to guide you and teach you so you learn yourself, or you are paying for someone else to monitor the ad monthly. Often called a monthly retainer, subscription or maintenance fee. My advice get started doing something if you want leads. If you have questions on who’s a viable coach out there or whom’s program is the best, reach out, I can help you know who’s training to do or which route to go based on your want to learn more. Some LO’s just don’t want to embrace the online stuff, but want the leads it can give. Some don’t want to pay someone else for work they can do, and they want to learn themselves. Everyone is different. #WhackedOutWednesday – The “Gold” is in the follow up! #LeadWeek – We’ve been going over what you need to know, and be doing to help you gain more leads online and off this week. Today I go over the perfect anatomy of a well rounded campaign to generate leads. From start to finish. I’m also “giving away” the 10 days of pain email campaign, that’s proven to work and convert. All I suggest is you add your virtual application to the emails and work the leads. #TodaysTool – Is the best platform to use to create the advertisements, and embed your 10 days of pain follow up emails to all leads. All in one. It’s #Phonesites! I even made an investment campaign ad just yesterday for one of my broker’s. My suggestion, use this software to make small and larger campaigns on an ongoing basis. You can use it to boost listings, to open houses, to any event you do, or just direct mortgage ads or a first time home buyer funnel. This is it — CLICK HERE! I want more #MortgageBrokers seeing success with leads that we can generate business from together. Remember I provide wholesale lender options for loans. #GetOnPoint with #BluePointMtg! Of course – Click here to sign up! Online and off, you need to push and pull your messages. Maybe you promote another person’s community event and show up and help. Maybe you share a listing a RE Agent has you network with. Maybe you post up a flyer at an apartment complex, maybe you give Facebook some money and boost a post or run an ad. Bottom line is you need to be well balanced and not just do one or the other. Organic and paid actions work well together, and formulate a “branding strategy” that helps your money go further. The more you post on a community page or business page, the higher you can get the “relevancy” score, which in turn can help you gain more reach with paid ads. Online and off, audiences are everywhere. You have to learn to take advantage of appealing to them, and learn the subtle art of selling. My advice is follow your #Passions. Whatever that may be. Groups online are everywhere, are you in them? Are you giving them value and providing solutions? A great way to gain eye balls is to PUSH your message into groups that are relevant to the subject you are posting about. You can tie owning a home into almost everything someway shape or form. You can also PULL your message or others by tagging people or checking in at places. Eye’s are everywhere, its just how you produce your message that can gain an interest to the right person at the right time. So today, here’s a tool that helps you be able to utilize both organic PUSH and PULL and paid action to gain a ton of eyeballs on any Realtors listing(s). Many of the tools out there can be used both organically and paid, just many don’t realize how to make their message “go viral”. It’s simple really, you need to push and pull. There’s only two things that happen to messages. Take advantage of these principals and grow your pipeline. Want more leads? – Keep watching this week we continue to go over the anatomy of marketing and building campaigns. As Always – If you gain leads and have questions about loans, guidelines, structure etc, let’s chat. #GetOnPoint with #BluePointMtg – CLICK HERE– I’ll personally help you close a loan and get paid! #MondaysMotivation – It’s #LeadWeek! And this week we go over all types of things that can help a LO actually BUILD their business. We’ll go over strategy, we’ll mention tools, and we’ll be here to help you close your loans! 🙂 Look you can’t grow without people to call, and people to market too, so the harsh reality is some of you are just not good at leads. You might be able to “sell”, but you lack the numbers to gain because you don’t have enough people interested. So what do you need to do? Leads, leads and more leads. This week, I am going to give away things that can help someone grow their business, and I am going to provide solutions and solve common problems most LO’s have. Today I start with the obvious, a training by me personally that can help you learn to grow your lists, online and off. I call it THE BLUEPRINT! And I’ve been helping people with this for over 4 years now, and it works. Its’ actually amazing to see when people start this, and grow over time. When done correctly it’s a branding strategy that can help you gain a market presence. You can start with having the basic necessities to market to and build a list. I suggest some email campaigning software like (Mail Chimp connects to your FB page – FYI or Constant Contact) and I suggest something to make a FREE landing page. (Wufoo). #WeekendCALL2Action – Lead week is coming next week! You bet, I’m going to go over everything about lead generation you need to know all next week. The CALL to Action is simple, make the calls now. Or make the lists fresh for yourself to call next week. You should have some sort of automation doing lead nurturing for yourself. But say you don’t next week I’m giving stuff away. 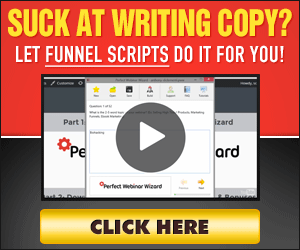 From a funnel system, to a proven script for follow up that converts. What’s the BIG DEAL? Why now? Simple really, you’re about 60-90 days out from peak season of purchases and you need to start now if you want to see the best results this summer. WHY? – Because people want to buy a house, they don’t want a mortgage! And 90% of the leads are TRASH right out of the gate. You have to nurture them, help them fix credit, show them the light at the end of the tunnel. Sure you’ll find some gold nuggets in gaining leads online monthly, but the true ROI is when you’re into it 2-4 months down the line. Many people just “give up” too soon. Why do LO’s fail at lead generation online? There’s a handful of reasons, but I’ll start with itemizing what NOT to do. Number 1, you have a business page/fan page and have no relevancy score worthwhile to run ads on that page. STOP doing that. Create a community page and get instant relevancy higher than your 7 year old business page. Number 2, if you don’t have some CRM, or follow up sequence built in to help nurture leads to life you’ve completely missed the boat on what “this” is all about. I think every sales person will agree, the gold is in the follow up. (we’ve all heard this before) Number 3, treat the leads as leads. They are not clients yet and the best campaigns are not for LO’s, they are for Real Estate Agents. So as you run a 1st time home buyer ad, or advertise a property, the biggest thing NOT to do is put all your eggs in one basket. What I mean here is don’t rely on crummy credit, no down payment having first time home buyers to build you a payday in the first 90 days. These are “agent leads” and designed to help you expand your referral network. I’ll go over more of what to do and NOT to do in lead generation ALL next week. But the point is you should have a well rounded way of generating business. You should have referrals from agents, you should have direct mortgage leads, and indirect leads you nurture as I mentioned. You should have referrals from multiple sources that are not just RE Agents to be the most well rounded. But Lead Gen is found around everywhere, both ONLINE and OFFLINE. And in reality the whole kitten caboodle is called “Branding”. We’ll go over what that looks like next week as well. If you are serious about getting started with something get on the blog #Vlog next week, I’ll highlight programs, people, systems, and do’s & don’ts of lead gen all week. #ThursdaysThoughts – Fannie Mae Updates! Wow 3 major updates I go over the highlights as they stick out to me. Fannie has been busy in April already! My suggestion – get informed and stay current. There’s ONE thing that is 100% CERTAIN in the #MortgageIndustry and that is #Change! #WonderfulWednesday – Perception is reality, until reality meets perception! People want to work with people that are successful, and busy. Perception is reality especially at first glance. If you want to grow your business, and are not exposing your success stories you are missing the boat. You also need to dress the part, to act the part. At least in the beginning. Get blooming by evaluating what your actions are to help your perception be your reality. Are you making the calls, are you doing the visits, are you growing your network? #TwoforTuesday – The 1003 and the Offer! I think these two things are commonly overlooked as some of the most important STEPS of the sale. The 1003 first of all is the heart of the transaction and goes incomplete quite often. Go deep ya’ll! Ask them what color their blinds are! Getting a full 2 year history on what that “Person” owns and owes is what it is about. The Offer, well that is sales orientated and many just forget or don’t take the time to plan a presentation. Or even “DO” a presentation at all. Do NOT just email your “offer” over to the client. That’s a sure fire way to get shopped and lose the deal. When I was a LO we would strive for SDS! #SameDayService for a client that said yes signed the docs and sent everything back to us same day. This is SALES 101, you need to be pushing the bruise (credit or their WHY) and elaborating on their pains to provide a solution. You write mortgages, an intangible service, that if custom tailored can help that individual reach goals in life. BE PROUD OF THAT, don’t just email the offer over and not have them on the phone to go over it. When it comes to #SDS – We want to help! Got a file with a fire, and want “Same Day Service” for disclosures and submission to underwriting to accommodate your “YES” you got? We can help you #GetOnPoint! CLICK HERE! #MondaysMotivation – In Good Faith I hope you disclose all fee’s to your new clients from the weekend today! And do it with all relied upon information at the time of disclosure. In all reality this hasn’t changed at all over the years, sure disclosures changed, names for them changed, but the philosophy of “doing loans” has been the same for decades. There are fee’s that can change, fee’s that can NOT change and fee’s that can change within a 10% tolerance. And if noted within 3 days of an event, new information can change fee’s all together. A change of circumstance can be issued to do just that. The philosophy is the same as it has always been, the “act” of doing loans has been the same. If the LO disclosed in good faith and information “beyond their control”, or information “relied upon at time of disclosure” or a “discovery of new information” changes it warrants new disclosure of those fees and structure of the loan. As always – I’m in the office taking “I gotta guy” questions to help LO’s structure a loan they can disclose in good faith. #WeekendCall2Action – It’s #FollowUpFriday! Many ways to be doing this! But the truth is there is no WRONG way. What I suggest is you ask about new listings and offer help to draw eyeballs to your Real Estate Agent partners listing with shares and social interaction. Tell them you want to support them. You don’t need to spend money doing it. Then GO WIDE! Idea 2 for you! – Get in with some builders, the ground is softening. As the season’s change you need to be sourcing referral partners of many types. I’d suggest builders as they are just beginning to break ground and gain momentum for the year. Again GO WIDE! I’m doing my own “Follow Up” Friday and giving pricing incentive’s to all LO’s that have not yet submitted a loan in 2019. .25 incentive in pricing for all new LO business in April. Let’s Bloom together! #LetsDoBusiness! CLICK HERE Better yet text the word “Juiceman” to 33655 and use the pricing engine or send me a scenario! #ThursdayThoughts – Raw unscripted #ThankfulThursday – Wow what an honor to be featured in National Mortgage Professional magazine this past March. They did a special diversity issue, and my article is titled; “Creating Excitement for Inclusion and Diversity in Lending”. Check it out HERE! I also was featured just at the end of last year in Success Profiles Magazine with my article: “Broker’s Are Back”. Click HERE to read the issue, my article is on page 35. My thoughts today are to say thanks, to you, the small business owner #MortgageBroker across America that contributes to my end goal. Closing loans and making a difference. I ♥ doing this blog/vlog and having fun with the group. If you ever want to suggest a topic for a video, or guideline you want me to high light, shoot me an email – CLICK HERE! My goal is to impact my business partners and provide value in many ways. On the left and right of the blog/vlog you”ll see all the banners to the “Tools” I suggest. I endorse these companies for a reason. #JUICYList And in many cases they may be a necessary for your business or required for you to stay in business (Cont Ed). #WhackedOutWednesday – FHA DTI Buckets are the most commonly asked about question in the last several months. It never gets old going over this. DU has these numbers embedded in it. So if you follow the general rules here, you can look at a 1008 and determine if you have a loan without even running DU. Know these three buckets inside and out. #TwoforTuesday – Manually underwritten or Approved/Eligible! The loans you have are one or the other. Today I want to remind all LO’s some reason’s why loans are manually downgraded. And that options exist. You either #GetOnPoint or you are not hooked up yet! Might as well arm yourself and team with options. Get on Point with #BluePointMtg and have manual and approved options for your borrowers. CLICK HERE – Let’s do business!! Offering .25 incentive to all new “first” loans from broker’s in April. Let’s bloom together! Want to check out rates, programs or send me a scenario? Text the word “Juiceman” to 33655 and download my app. Take a scroll through the links and submit me a scenario real time. #MondaysMotivation – Set new #Goals and #ActionPlans to achieve them. It’s a new month and new quarter, time to REACH and create a STRETCH for yourself! What I see is LO’s turn in goals (same with AE’s) but they are all worried about “hitting” them and don’t push themselves. A goal is sometimes NOT going to be hit. Is that ok? Yes. Don’t fall into the trap of just putting numbers on paper without an action plan to go with it. If you want to increase your business focus on the “how” you’re going to do it. Not just the number you write down. Break your goal down into action-able steps to achieve the goal. Then go hog wild at trying to hit it. You’ll see more success that way! #WeekendCall2Action – Do the work! Sounds simple, but I challenge you to look at your daily routine and what your striving for. In all sales there’s a number’s game. Are you working it? Literally – are you making the calls? Are you visiting the Open Houses? Are you putting in the work? Or are you letting email dictate your day? Are you really PUSHING yourself to be all you can? Law of Averages are something I strive for each day. But recently I’m increasing my numbers game. WHY – Because skill and effort weight each other on a scale. The longer your in the business the more skill you have. The more skill you have sometimes the less effort you place. I CHALLENGE YOU – Go back to your roots and work the effort train. Put in the work! Do the work you used to do. Just so you know – my LOA was 100 calls, 4 credit reports, and 1 deal – PER DAY! Are you putting that kind of work in? As an AE or B2B sales, I strive and absolutely LOVE ♥ LOVE expanding markets and opening new relationships. IF you’re a mortgage broker and NOT signed up to work with #BluePointMtg – Let’s do business – CLICK HERE! Simple CALL TO ACTION – Evaluate your own LOA (Law of Averages) – in comparison to your results. Are you really truly pushing yourself right now with the efforts you are taking? And is what you are doing daily as productive as you want it to be? Plan Do Check Act – All your “daily activities” this weekend. Then start next week with a bang, by doing the work! #ThursdaysThoughts – Building an audience is the name of the game. It’s all a LAW OF AVERAGE numbers game. The more people you market too, the more opportunity you may find. OK, so Facebook is changing the targeting parameters and has taken away Zip codes, Gender and Age in targeting for Housing ads. This in my opinion is a good thing. Read on to find out why, besides doing all the targeting was like “Digitial reverse red lining” really anyways. The idea here, is that you can leverage your friends, to like your page, then run ads to those that like your page and their friends. You can run an ad to a custom audience (past client list) and you can run an ad for those within a certain radius of where you state your “business” is. 50 Mile radius, 30 mile radius etc. So in theory if you wanted to target a specific “zip code” without having that parameter to target, you could create a name of a community page that coincides and represents that area, and then run an ad with a 50 mile radius from that “place”. You set the address, so enter away. Does this change things, yes. It says to me all day, that those utilizing “ORGANIC” reach to help them run ads, are going to win. More, and more this is becoming relevant that you need to be building a “BRANDING STRATEGY” online. You can’t just throw money at FB ads and see instant success. You have to have parameters in place to help you. Starting with your organic game, can help you increase your page likes, which in turn can be targeted. I have solutions for both organic marketing for those needing help to start a branding strategy or for those that want a Done4You solution. Even with that, you still have “organic” reach you should be taking advantage of to help your “paid ad” drive home more conversions. Think about it, the more eyeballs you drive organically to a paid ad, the HIGHER the CLICK THROUGH rate, and the LOWER the COST PER CLICK. My advice, personally I see it all the time, where people FAIL miserably at ads and claim the leads were crappy credit leads with no money. There’s ways to make small campaigns and big campaigns. You should be running a “big campaign” where you advertise a home (everybody wants a home, nobody wants a mortgage) on a community page. Then run small campaigns of various targeting for various products you may have on your business page. (ie VA loan ad, Investor loan ad, USDA loan ad etc) You will see the best results to any campaign strategy you do if you have a well rounded plan to PUSH and to PULL your messages BOTH with paid reach and ORGANIC EXPOSURE. You can’t just rely on one side any more. You must have both. That’s how you’ll see the best results, and that’s what this all means. You push and pull your ads/messages by sharing, liking, engaging, tagging others pages etc. There are several ways to gain exposure all FREE! You just need to take action. #WhackedOutWednesday – LOE/LOX – I don’t care what you call it, I call it a story. Each loan has one, and sometimes individual conditions require more explanation. Why not LOE/LOX it? More LO’s need to do this with conjunction with their processors. It’s “Whacked Out” that more LOE’s are not in loans. I’m a fan of making sense out of things, and helping the underwriters “see the light”. Help them by telling the story ya’ll. The more you do this with your loans (easy one’s or hard one’s) the more loans you will close. In some cases, less is more, see your AE if you question what information should be inside a LOE/LOX. I’m always here to help! Don’t get stuck with loans you can’t close! That’s the theme right, LOE/LOX it! Maybe it will make the underwriter feel all warm and fuzzy! GOT AN I GOTTA GUY QUESTION?? #TwoforTuesday – Back to our regularly scheduled program and Tuesdays’ a guideline day as always! I go over two guides today, one on Credit Counseling and one on Owner Occupied Principle residence. #MondaysMotivation – It’s a NEW MONTH! Yep, LO’s and Broker’s from the world should be looking at their pipeline from the 15th to the 15th every month. What apps you take now are closing in April. Yeah still a few “might” close fast, and that’s a good aim, but generally speaking this is how the most successful look at the month. AE’s included. TIME TO PUT IN THE WORK!!! Time to #GetOnPoint with #BluePointMtg! Got an “I gotta guy” scenario, or guideline question(s)??? Reach out to me HERE! For those of you not approved yet, the full Broker Package is only a click away — GET ON POINT CLICK HERE! #TGIF It’s St. Patty’s #JUICY-NESS – I hope you enjoyed the #JUICYWeek all week we went over tools and systems and companies we endorse to help you LO’s grow your business!! Today we wrap up the week with some training and “Done4You” solutions that you can take advantage of to blast off this year!! Seriously I think you already know, you need to have a BRANDING STRATEGY and way to leverage social media for both referral partners and new leads for home buyers. Those that are doing this are going to have the best summer ever!! Today I provide two tools that can help you get a jump start to getting your pipeline JUICY!! When it comes to learning social media and building a brand, a following and an audience to engage with you, there’s several ways to use the information you already have in front of you. I break this down in a my organic training called #TheBLUEPRINT and is a 3 day workshop designed to help LO’s get started. That way they can gradually get involved with “paid funnels” and actually see results. The biggest problem I see sometimes is people try ads and just don’t succeed like they want too. This bridges the gap and helps you gain better results on your paid ads. Get THE BLUEPRINT HERE!! #ThursdaysThoughts – Getting JUICYer all the time we add more to the great #JUICYList!! This week I introduce a few new companies to the list. Today we have two of the newest on the list that help you grow your business, stay in business and retain your clients. It’s a pleasure to introduce SUMMIT MORTGAGE TRAINING as a resource and tool for all LO’s that follow, and need to do continued education yearly. As well as education for Licensing for new LO’s. It seems I get asked that all the time. STIKKUM – With a way to make your past clients remember you!! It’s a client retention strategy designed to help you connect and enrich relationships. Retain your client is growing and it’s great to see tools we endorse growing and expanding. Welcome STIKKUM!! #JUICYWednesday – It’s #JUICYWeek and you know I go over the best tools, companies and things to have to help you GROW your business, add value to your RE partners and do more business!! Today Join Us In Creating Excitement in your pipeline by having the ability to make small campaigns you exploit to gain leads. Yep Landing pages, otherwise known as FUNNELS. A big word on social media you’ve probably heard of by now in the last couple of years. I even give you a tip to get some FREE. We talk about the best 3 to use, depending on your liking for the campaigns you run, on your website, on your Facebook page, on LinkedIn, in #Instagram etc. You could even make a flyer with a catchy name for people to use. It doesn’t matter how you do it, the end result is you collect NAMES, PHONE NUMBERS and EMAILS and are building a list. That’s your job. Then it’s how you are “managing” that list and marketing to it that matters. The ideas are endless, you could make a funnel to send an email to your past client list. Make a short email or text blast with a link to your funnel in it. If your message is good, you can get people to click it, then a percentage that “Land” on that page will fill in their info to request more, or in some cases go directly to your shopping cart. (ie – your mobile application) Bottom line I’d suggest you have some software that’s easy to use that can help you make campaigns along your journey of serving people. The done 4 you solution to funnels that’s plug and play is LeadPops. This is a company made by LO’s for LO’s. Nice set up and easy to use landing pages, where you drag and drop your logo, nmls and your done. The GodFather of “Funnels” is ClickFunnels. If you don’t know, this is the one that really blew up the online advertising game. But you do need to know code, a little, and how to program a page. You can literally customize everything and integrate anything you can think of. The list goes from easiest and most effective to more advanced. My thoughts, might as well tell as many people about them in hopes to help impact someones’ business. Look if your going to ride the next wave in the #MortgageIndustry you better learn social media and have tools to help you advertise. This is it! #TwoforTuesday – JUICY Websites and JUICY Applications. Some of the major things any one LO/Mortgage Company should have, = a web presence. If you don’t have a website or want to update your’s to be more modern and have chat features to mortgage calculators, this is for you. If you don’t have a mobile application, or web application that can drive security for docs, or walk your client through a 1003 in their “language” – This is for you! The LENDER HOME PAGE is a complete system for website happiness, every bell and whistle is available to a basic landing page. PERFECT LO is a virtual application designed to help you take more 1003’s. And complete 1003’s at that. Depending on the answers to questions, the system is designed to help you dig deep and complete the most thorough 1003. And you can do it in many different languages. PRE-APP 1003 is a virtual application and 1003 system complete with integration with DU, a CRM function for follow up, and much more. In many ways this application is getting updated all the time and adds more functionality above and beyond just a virtual 1003 in the palm of your hand. IF your thinking about updating or upgrading these are the companies to look at and work with to help your LO’s and Company go “Viral”! Join Us In Creating Yes’s for your Pipeline all week! #MondaysMotivation – #JUICYList Week! Once a quarter or so I highlight the tools I have sponsored and endorsed to help you LO’s grow your business! And today we start off with one that’ll help you BOOST your sales right away! GET LISTING BOOSTER HERE! Tools galore we will highlight this week including some new comers to be announced. Can’t wait to help you close a loan and grow your business! #GetOnPoint as always, with #BluePointMtg! CLICK HERE – Accepting new Broker applications to start a new B2B relationship. My goal is to help you grow your company. #WeekendCall2Action – Move your feet! You have to get out there and do some old fashion guerrilla marketing. Stop by some open houses, go to a Realtor meet and greet or mixer in the evening tonight. Something to get your name out there is what you need to be doing NOW. Yeah, I am an advocate of online marketing, however, it pays to get your name, and FACE out there a little. You can’t just hide behind the CPU. Now’s the time to show up at events, at mixers, at open houses, put up flyers, do something. Where you need to “move your feet”. The more you do this now, the more it will pay later. The game of “Branding” includes a lot of various things, some face to face, some with written ad copy. I suggest you move your feet a little and get out there this weekend. If you want some ideas let me know. Here’s a list of 50 things you can do to source new business this weekend. Weekend Call to Action – 50 Ways to Generate Business! Mortgage sales expert. Helping mortgages close everyday. Enter your email address to get the JUICE daily and receive notifications to Join Us In Creating Excitement by email. Get on Point with BLUEPOINT! Get a Free Trial of PerfectLO app! Need a WEBSITE? Lender Home Page is here! Two for Tuesday - LO Comp and Borrower Paid!